It looks like Waterparks' Awsten Knight and As It Is' Patty Walters are planning... something. 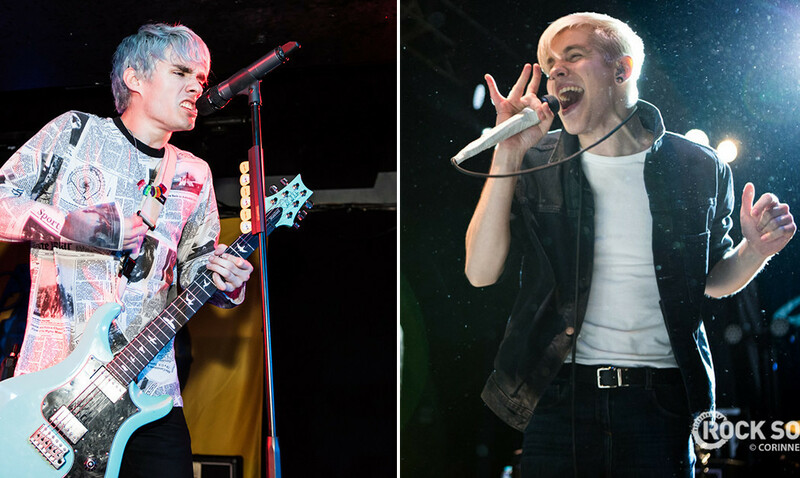 Awsten just broke the news on the internet, saying: "DOING A THING WITH @PATTYXWALTERS. 11AM CST/5PM WHATEVER TIME THE UK RUNS ON. TOMORROW. HAD THIS IN THE WORKS FOR A MINUTE. COOL." And Patty? Well he just replied with three tantalising emojis. Whatever it is, guess we'll find out tomorrow at 5pm GMT / 11am CST / 12pm EST / 9am PST / whatever time it is where you are on the planet! We are STOKED. And so's the internet! Is a collaboration on the way? If Walterparks is coming, we're ready for it. Waterparks recently released their second album 'Entertainment', which features their new single 'Not Warriors'. Meanwhile, Patty Walters recently unveiled his involvement in Jarrod Alonge and Lauren Babic's CrazyEightyEight. Both Waterparks and As It Is tour the UK in the next few weeks.